India 04 September 2016: Pomegranate are known for their taste and Amazing health benefits. 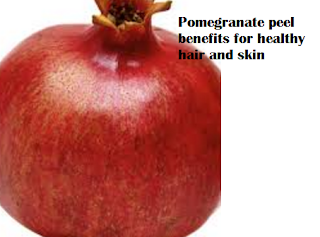 The skin of Pomegranate is tough red skin and often they are thrown out (discarded) Just like the fruit the peel also have a lots of benefits. You must all know the benefits of pomegranate peel. 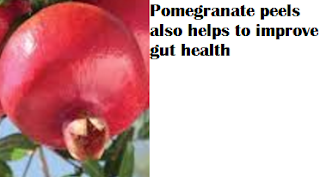 Pomegranates are known for their taste as well health advantages. In recent times, Chinese researches have claimed that the pomegranate peel does have an immense potential as it contains antioxidants power double than the fruit pulp has. We will tell you how Pomegranate peels help you enhance your beauty. It fights against acne, pimples and rashes. Pomegranate peels has its healing properties thats the reason pomegranate peels can fight acne, pimples and rashes. Pomegranate peels are rich in antioxidants and are able to fight against bacteria and keep way bacteria and other infections away. 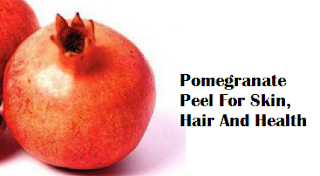 Pomegranate peels powder are used for hair loss and to prevent from dandruff. It promotes a healthy hair growth too. 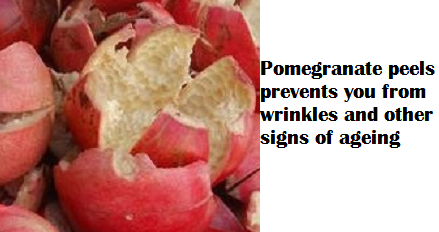 Pomegranate peels prevents you from wrinkles and other signs of ageing. Pomegranate peels prevents breakdown of collagen of your skin and thus promote the cell growth which will helps to delay the signs of ageing and wrinkles in a better way. Pomegranate peel are often used in toothpowders and toothpastes and we take it in a powdered form with water it also helps us to fight against bad breath. Pomegranate peels can deal with dental problems like preventing bad breath, gingivitis, carries and well as mouth ulcers. Poor dental hygiene can lead to oral cancer. Pomegranate peels are packed with powerful and healthy antioxidants which fight against dangerous and life threatening heart diseases and which safeguard the LDL cholesterol. It also lowers cholesterol levels, reduces stress and restores heart health. 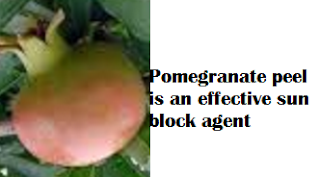 Pomegranate peels lessen the oxidative stress and lower blood pressure also. Antioxidants are neccessary to protect you from this problem. The more antioxidants you get the more it is better for our heart. 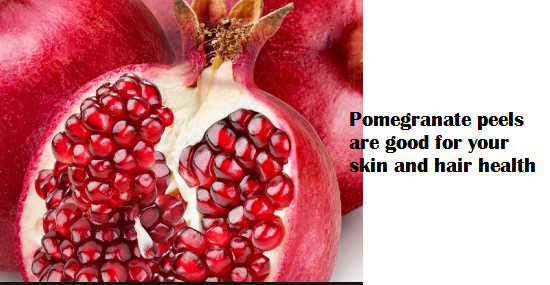 Pomegranate peel are knows for its antioxidants and Antioxidants are believe in detoxifying the body. Pomegranate peels has a higher antioxidants due to its higher antioxidant they are very helpful to keep the entire body free of diseases. Vitamin C is very imprtant for a good health. Many people use vitamin supplements to prevent from deficiencies. Deficiency in vitamin C can cause a lots of serious Problem. Instead of wasting money on synthetic supplements we must make use of Pomegranate peels which is very helpful They have lots of Vitamin C in it and can keep our body far from deficiencies. Vitamin C helps us for proper growth, Make the wound heals faster, as well as forms the scar tissue. 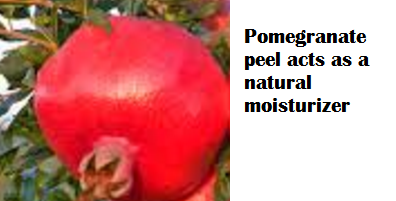 Pomegranate peel will help us to build body mass by forming the essential or neccessary proteins. Vitamin C helps us in many ways like repairing our bones and teeth, cartilage andalso keep our bones and teeth strong and healthy. Dry peels of pomegranate are used with ginger and Tulsi leaves to cure you from coughing. Pomegranate peels are used to provide you relief for those who are suffering with coughs or sore throat. The only thing you must do it to powder Pomegranate peel and blend with a few water. We must gargle using this water to get rid and cure cough and sore throat. If you do so you will surely feel nice. reinstates the pH balance of the skin. 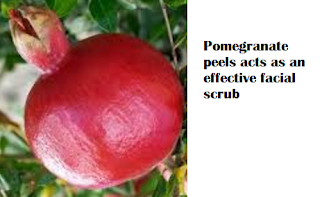 Pomegranate peel contain ellagic acid that keep the skin soft and healthy. Pomegranate peel is best sunscreen agent which helps us to repair the damage caused to the skin by UVA (Ultra Violet A) and UVB (Ultra Violet B) sun rays which helps in preventing skin cancer. According to studies it is believed that the pomegranate peels contains preventive agent which fights against skin cancer. When we used Pomegranate peels as a facial scrub it is known for removing dead skin, black and white heads from our face. Pomegranate peels have got tannis within them which help to reduce inflammation of the intestine, swelling of hemorrhoids, tighten up intestinal lining, prevent bleeding throughout diarrhea and help to aids in digestion. 1) You must take 4 -5 pomegranate fruits and cut each fruit in 4 halves lengthwise. 3) After doing that we must cut each peel into 2 halves. 4) If you want to use the peels for therapeutic purposes then peel the yellow portion with a knife. as the yellow portion when dried and powdered tends to give a bitter taste in your concoctions. For external application of the powder you can keep the yellow portion of the peel intact. 5) We must Put the peels in a plate or dried cloth and take care that they dont overlap each other. We must put them in direct sunlight and allow them to dry. 6) We must keep the pomegranate peels under sun each and every day until pomegranate peels become hard and lose all the moisture. 7) Than we must put them in a clean and dry mixture and put all the sun dried peels and grind them for atleast 2 minutes. 8) After that in a clean glass and airtight jar we must store the powder. 9) We must remove therequired quantity of pomegranate powder whenever we required it.